We help people buying a house to find the right mortgage. If you are looking for houses to buy in Kirkcaldy or buying a house in Fife we can help. We pride ourselves in providing the highest level of customer service in an open, honest, transparent and professional manner. We are committed to providing expert advice tailored to fit your individual circumstances, always willing to go that extra mile if required. The team help those buying houses across Glasgow & central Scotland. 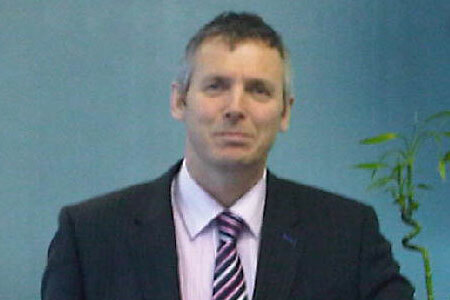 Kenny’s background has been Armed forces completing 24 years in transport and logistics serving all over the world. His final posting reaching WO class 2 was in Fife training TA soldiers. On leaving the forces in 2002, Kenny became fully qualified in giving mortgage advice, and joined a company in Dundee. He quickly worked his way up building up his client base and became a manager running an office in the west of Scotland supervising 10 mortgage consultants. In 2006 he moved back across to Dundee and took on the role of Coaching and Development Director supervising 15 mortgage consultants whilst looking after his own client base. In February 2010 Kenny set up J&K Financial Solutions LTD, with his wife Jeanie. Throughout his time as a mortgage adviser Kenny has built up a wealth of knowledge and experience and is highly qualified to provide you with the best advice possible. Kenny is currently the main mortgage adviser in J&K Financial Solutions LTD, providing leadership and direction to the team. Joanne previously worked for 9 years in the Financial Services Industry as a Resource Manager, Team Manager and Customer Service Manager, managing teams of up to 15 staff. After taking time out to start a family, Joanne decided to change job descriptions and she joined J&K Financial Solutions in August 2010. Joanne is now studying to become a mortgage adviser and is working alongside Kenny and Jeanie learning the skills needed for this role. Jeanie previously worked as a behaviour support assistant in secondary education and has over 15 years of experience in this role. 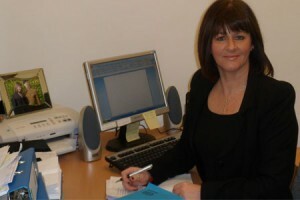 In February 2010 Jeanie decided to change career paths and together with Kenny formed J&K Financial Solutions LTD. Jeanie now oversees the running of our office in Kirkcaldy, and along with Kenny manages the financial and regulatory requirements for the business. “Many thanks for helping us out with the mortgage again. As always a pleasure dealing with you and your office staff, always very professional and helpful.” Mr Gardiner, Perthshire. We help those trying to buy houses in Kirkcaldy and the surrounding areas and across Fife here in Scotland. If you would like to speak to any member of our team please call 01592 748989, or 07980570109. J&K Financial Solutions LTD is authorised and regulated by the Financial Conduct Authority for advising on and arranging mortgages and insurance, broking and debt counselling of consumer credit agreements.